Total Hip Arthroplasty, one of the most common and successful hip surgery, involves the removal of damaged cartilage and bone of the hip joint and replacing it with artificial implants or prosthesis. Artificial implants may be made up of metal, ceramic or plastic. Hip replacement is considered necessary in case of severe hip osteoarthritis. It is seldom recommended in case of inflammatory arthritis as well, such as Rheumatoid Arthritis or Ankylosing Spondylitis that may have involved hip. Hip replacement surgery also advised for certain hip developmental disorders in childhood. Hip fracture as a result of osteoporosis is also one of the condition necessitating hip replacement surgery. The primary goal of hip replacement surgery is to reduce pain and restore function of the hip joint. 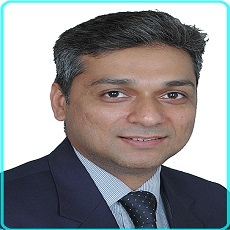 Since the time of inception of Total hip replacement surgery it has evolved consistently with advancement in technology thereby offering better outcome for the surgeon as well as the patient and longer survival of the implant. You might be wondering if you need hip replacement surgery. Mere presence of hip arthritis is not an indication for hip replacement surgery, however, if the hip joint is damaged enough to interfere with your daily activities and are associated with stiffness, excruciating pain and restricted range of motion and none of the non surgical options such as pain killers, physiotherapy worked for you, then you might want to talk with your doctor about hip replacement surgery as an option for you. Q1 What is wrong with my Hip joint? A1 Hip joint is a ball and socket joint and it comprises of ball shaped head of the femur(thigh bone) and the socket or acetabulum in the pelvis. Bony surfaces of the hip joint are covered by smooth articular cartilages thereby cushioning the hip joint and enabling the parts to move easily. However, in Osteoarthritis , a chronic disease, the articular cartilage wears away causing severe hip disability, excruciating pain and stiffness. Q2 When is Total Hip Replacement surgery recommended? Severe damage of the hip joint has taken place due to Osteoarthritis or injury. Pain medication-Antiinflammatory medicines, physical therapy and other non surgical treatment measures are no longer effective. You find it nearly impossible to perform daily activities without severe pain and restricted range of motion and quality of life is significantly affected by your hip arthritis. Q3. What is done in Total Hip replacement surgery? A3 During the Total Hip Replacement surgery, the head part of the thigh bone(Femur) and the acetabulum(socket in pelvic bone) are replaced by artificial parts or prosthesis. Artificial hip parts comprises of two components namely a cup called acetabular component and a stem and a ball called the femoral component. The damaged cartilage and the affected bone are first removed and the bony surfaces are then reshaped to accommodate the prosthesis or artificial joint. Your surgeon will close the incision after evaluating new joint’s range of motion and verifying that it is properly positioned with the help of an X ray and will make sure that it functions efficiently. Most surgeries are performed under General anaesthesia. A good proportion of patients, nearly 90% get dramatic pain relief and enhanced function of the hip joint that usually lasts for good 10 to 15 years. Q4 Which implant would be right for me? A4. There are several factors that come into play while deciding the type of implant, most suitable in your case such as your age, gender, weight, lifestyle, your stature, intensity of your physical activity, condition of your bones like, if they are inflicted with degenerative bone disease or osteoporosis. Besides the above, the specialist's experience with the outcome of those implants, before suggesting any particular implant in your case, is also important. Furthermore, the specialist also takes into consideration the stability of the implant, its range of motion and wear and tear resistance in your case. In nutshell, your specialist is the ultimate authority to take the decision of the type of implant most suitable for you. However, it would certainly be better if you acquaint yourself with sufficient knowledge about them for understanding of your doctor's choice. Q5 What is the total recovery time post Total Hip replacement surgery? A5 It usually takes 3 to 6 months to recover after Total hip replacement surgery. The hospital stay is around 3 to 4 days. The factors that determine the exact time of recovery are type of surgical approach taken, your response to the surgery and your overall health. 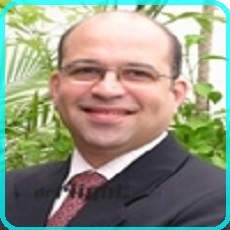 It is imperative that you follow your surgeon's instructions religiously to get best results in shortest recovery time. Q6 How long does the artificial hip last? A6 Normally, the life of the artificial hip prosthesis is around 10 to 15 years. However, it may vary from person to person. Q7 What are the causes of hip replacement failure? Q8 How safe is Total Hip replacement surgery? A8 Total hip replacement surgery is a very common procedure done on a routine basis on the patients with need for one. It has good success rate. Furthermore, thorough evaluation of your clinical condition, requirement for and benefits of surgery will be done by your surgeon before proceeding with the surgery. 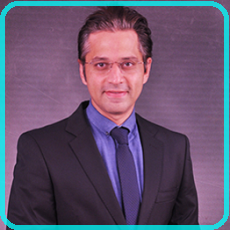 Credentials of your specialist are crucial for the success of any surgery and this surgery is no different. 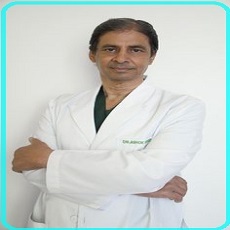 Healthcaretripindia affiliated hospitals have the best of specialists, who are globally trained in countries like USA and UK, highly skilled and have decades of experience in carrying out joint replacement surgery with incredible success rate in good number of patients. Q9 What is minimally invasive Total Hip replacement surgery? A9 Minimally invasive THR surgery, also called Direct Anterior Hip Replacement or Anterior approach to Total hip replacement, is a muscle sparing approach. No muscles are cut rather muscles are moved aside, tendons are not detached, small incision (3 to 4 inch) and the hip joint is accessed from the front of the thigh. It benefits the patient in terms of reduced pain, quick recovery, early resumption of normal daily activities without the fear of hip dislocation and shorter hospital stay leading to economic benefits as well as early return to family and friends thereby giving boost to recovery. Furthermore, precautions needed in order to prevent hip dislocation are not necessary as such and this approach ensures a better hip function after surgery. Other approaches to Total hip joint replacement surgery are lateral and posterior approach where in the hip joint is accessed from the side and the back respectively. In contrast to the above anterior approach, the other two conventional Total hip replacement approaches or ways to access the hip joint involve separating muscles and tendons in order to access and replace the hip joint from either side or back of the hip. They come with their own setbacks in terms of increased pain, delay in recovery which may extend from months to even years and increased possibility of hip dislocation which is largely responsible for Hip replacement failure. Certain precautions after this surgery need to be strictly adhered to in order to prevent Hip dislocation such as absolute no to crossing of legs, bending of hip joint beyond 90 degrees and increased rotation. Q10 What are the possible complications of Total Hip Replacement surgery? A10 There might be very little chance of complications arising out of hip replacement surgery. Your surgeon will make every possible effort to avoid them by adopting certain measures such as prescribing antibiotics and blood thinners. However, if at all complication/s may occur, they might prolong recovery time or hamper complete recovery. The risk and vulnerability towards getting possible complications will be explained to you. Only after your mutual consent and if benefits of the surgery outweigh the possible risk/s, the surgeon will take the plunge of carrying out the surgey. Q11 Is there anything I can do to protect my hip joint? There is lot that you can do to help yourself in protecting your newly found freedom in the form of new hip joint. Follow a regular light exercise regime for adequate strength and mobility of your new hip joint. Be cautious and avoid falls or injuries as it may necessitate another surgery. Prior to any dental procedure keep your orthopedic surgeon informed and at the same time inform your dentist so that they can guide you appropriately. They may prescribe you a course of antibiotics prior to any dental procedure. Religiously follow your orthopedic surgeon's instructions and go for regular follow up visits with him/ her. Q12 How is revision hip surgery different from primary hip replacement surgery? A12 Revision hip surgery may involve removal or exchange of part/s of initial hip replacement. Depending upon the part/s to be removed, based on their attachment to the patient's bone, it may accompany some bone loss and loss of musculature leading to compromise in the strength and the functionality of the hip joint post surgery. Complications are more common in revision hip surgery and the results are unpredictable in terms of its durability. For the surgeon as well as the patient, it is more challenging to carry out or go through the revision hip surgery. Even more so, the duration of the surgery is also extended. 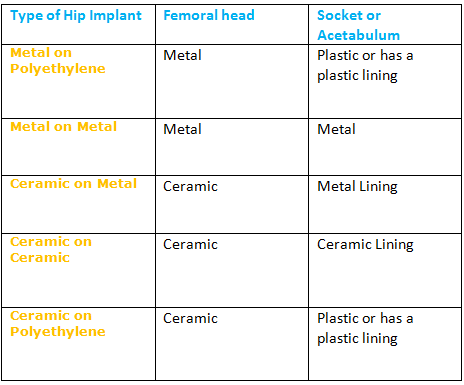 Q13 What are the different types of hip replacement implants? Your doctor's good experience with certain brands and types of implants in terms of the durability, ease of working with, patient's feedback on the outcome. 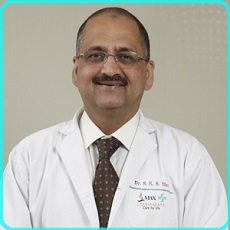 We just intend to impart knowledge regarding the different types of hip replacement implants so that you are well acquainted with the required information and you can participate in the discussion and the decision making with your surgeon on the best implant for you for your hip replacement surgery in India. Hip joint is a ball and socket joint in which a ball like structure fits in a pit or socket. Ball like structure is the head of the femur or thigh bone and the socket like structure is referred to as Acetabulum. It is in the pelvis. When hip joint gets severely damaged, these structures such as ball(head of the femur) and socket(acetabulutm) are replaced with artificial components called prosthesis. These components are fitted at the appropriate place after cleaning and smoothening the damaged surfaces so that these new implants or artificial components are tightly secured in place. Your surgeon will determine the most optimal method of fixation of artificial implants in your case. Though there are no significant differences in either way of fixing the implant in place, in terms of the length of survival of the hip replacement implant which is measured by the requirement for the revision surgery. However, short term clinical benefits as evident by improved pain scores, are found to be more in case of Cemented Total Hip Replacement. In the earlier times, cemented fixation techniques were adopted. Uncemented hip implants were developed later to overcome the shortcomings faced in case of cemented implants such as early loosening of the implant. In Uncemented hip implants, the natural bone grows into and onto the prosthesis culminating in better success rates and survival. However, it is an expensive option. The choice of fixation technique is purely at the discretion of your hip replacement surgeon. 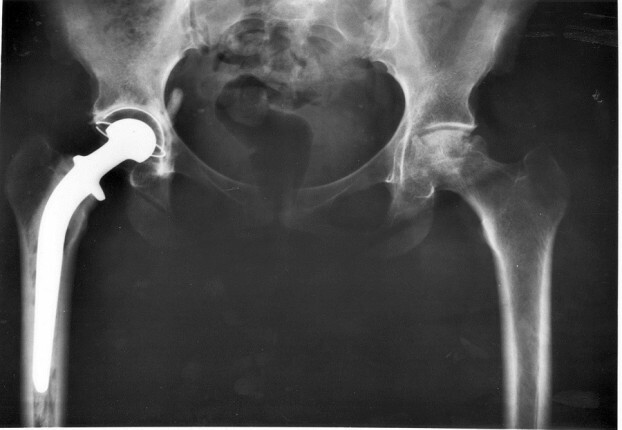 Q14 What are the characteristics of a good hip replacement implant? A14 Hip replacement implant should meet the following criteria to be considered as a good one. Durable, should last for the expected period of time which is around 15 to 20 years. Should have been in consistent use for a long time, with successful outcome , in hip replacement surgery patients who receive the implant. 5 to 10 years is generally a good time period to set a good track record. The patient for whom it is being used is completely comfortable with it, without any problems or complications such as metal allergy and so on. It should meet the patient's and the doctor's expectations of good clinical outcome. Your surgeon is comfortable working with the selected implant in terms of its brand or type and also confident of its good results for the patient in question. Q15 What is the difference between Total Hip replacement Surgery and Partial Hip Replacement Surgery? A15 Hip replacement surgery has two subtypes namely Total Hip Replacement Surgery and Partial Hip Replacement Surgery. Total Hip Replacement Surgery is referred to as Hip Arthroplasty whereas Partial Hip replacement surgery is called Hemiarthroplasty. By now, you already understand that hip joint is a ball and socket joint. Spherical head or ball of the thigh bone fits in the socket(Acetbulum) of the pelvic bone to make the existence of the hip joint possible. When only the ball or head of the thigh bone is replaced with the implant and socket is not prepared or resurfaced, it is reffered to as Partial hip replacement surgery. On the other hand, when the head of the femur is replaced with an artificial implant and the socket of the pelvic bone is also resurfaced or prepared to receive the femoral prosthesis, it is reffered to as Total Hip Replacement Surgery. Usually the Total hip replacement surgery is recommended, as Partial is not the optimal choice, though it sounds less invasive. In Partial Hip replacement surgery, the prosthetic femoral head rotates inside the socket thereby rubbing against the natural normal cartilage. Over time, the metal ball pressing against the cartilage in the acetabulum results in its untimely wear and tear. However, in case of total hip replacemnt surgery, both the components of the hip joint are replaced by the artifical implants, so no question of wear and tear of natural tissues arise. Q16 What is the difference between Total Hip Replacment Surgery and Hip Resurfacing Surgery? Removal of the damaged tissues of the hip joint. Femoral head is removed and replaced with artificial femoral head which is either made up of metal or ceramic. Damaged tissues of the acetabulum or socket are removed and replaced with an artificial cup which can be of metal, ceramic or plastic. Here, the artificial femoral head is secured in place with the help of a femoral metal stem prosthesis that goes into thigh bone. Femoral head is attached to this metal stem. Trimming of the damaged surface of the femoral head and covering it with metal cap or prosthesis, unlike total hip replacement surgery that involves removal of the femoral head. Damaged tissues of the socket are removed and metal cup is secured there. 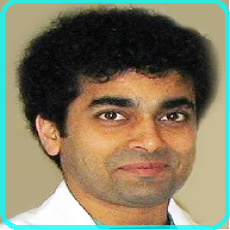 Globally trained,highly experienced orthopedic surgeons. Language no barrier.English speaking people and if required,translators are available for your convenience. Columbia Asia Hospital, Gurgaon,Delhi NCR. My wife Mary was diagnosed with pus in her spine. It was recommended she undergoes spine surgery. A family member connected us to Healthcaretripindia. 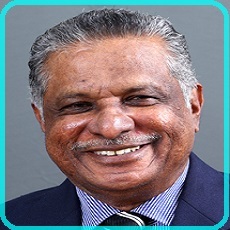 Let me say it is the wisest health decision I made for my wife, Through the assistance of Dr Neelu we managed to travel to India and the surgery was performed successful. Today my wife and I can afford a smile after many months of pain and anguish.